The primary characteristics of Smart Contract are self-verifying, self-executing and tamper-resistant. Technically, smart contracts are the program that executes a set of predefined terms and conditions on the type of information or the input. However, they can be complex, when developed to achieve much more than just executing agreements. To create Smart contract in python programming is one of the simplest and also considered as one of the easiest. However, languages are Java and C++ are also strong choices. Above it, cryptographic language like Simplicity and Solidity, are also emerging as a dominant trend. 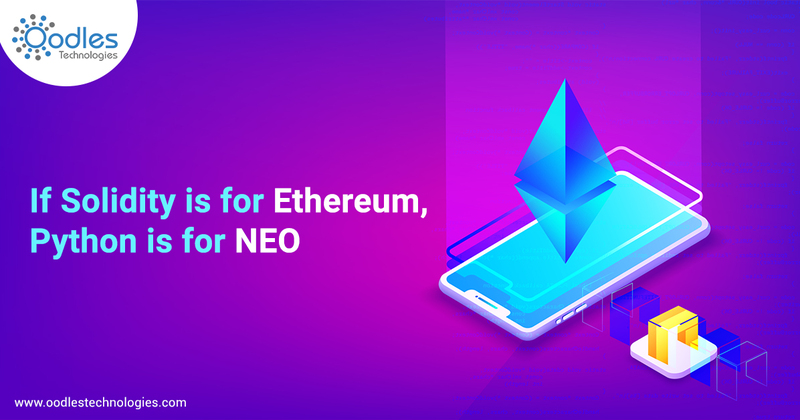 Ethereum and Neo are two popular platforms to develop a smart contract. Ethereum supports smart contract and decentralized application as its fundamental application. It created the first smart contract, gaining the most popular as an open source blockchain platform to create decentralized applications. Neo, on the other hand, is dubbed as “Chinese Ethereum”. It is almost similar to Ethereum with equal capabilities. They differ only in programming, scalability, and philosophy behind their objectives. Read: Best Blockchain Programming Languages for 2019. Read: Is Python the Best Option for Blockchain Development? Neo Smart Contracts has the features of expandability, high performance, and certainty. It supports the creation of three types of basic contracts: Validation Contracts, Function Contracts, and Application Contracts. The NEO Virtual Machine uses low resources and it is perfect to develop smart contracts with fewer procedures. To create smart contract in Python on this platform combines the advantages of the language in the development. It has an optimized cryptographic algorithm and supports to handle complex data structures to create smart contracts. NEO Smart contracts support high concurrency and dynamic partitioning. This feature, when combined with its low-coupling design procedure, creates highly scalable smart contracts. Although NEO supports the development of its smart contracts using any language, it provides a broad approach to create smart contract in python programming. It introduced the Neo-Python Project, which is becoming popular. Being quite new, the project still has limited support for complex structures. Neo developers are working on further scalability of the language in the platform. Python is open source, a strong and large community of developers backs it. Its user-friendly Data Structure is the primary advantage not only to develop smart contract but also in the creation of distributed ledgers as well as blockchains. Python Data structure supports fast runtime and has high-level data typing, which reduces the code considerably. It is one of the strongest reason for developers to use Python programming in smart contract development. Although it is possible to create Ethereueal smart contract using Python programming, the former does not promote the latter. Ethereum rather focuses on Solidity to create smart contracts on its platform. Solidity is the Ethereum-specific programming to create smart contracts and decentralized application. Clearly, Solidity is the first choice to create Ethereum smart contracts rather than python. However, Python has use cases in distributed ledger development and other application of Ethereum platform. Read: Ethereum vs Hyperledger: Smart Contract Development. Read: Ethereum Development for Blockchain Application. Python Smart Contracts for Neo or Ethereum? Python is a good choice to start with Neo Smart Contracts. For Ethereum, it is used because of its generalized advantages. The language is highly scalable, but concise is favorite for any developer. They use it in developing Ethereum smart contract development for a first-hand experience. However, it cannot offer the advantages of Solidity. Neo Smart Contracts has strong support for Python. The language has strong prospects in Neo-ecosystem. Explore More About Smart Contracts Development. Copyright 2017-2019 Oodles Technologies. All rights reserved.